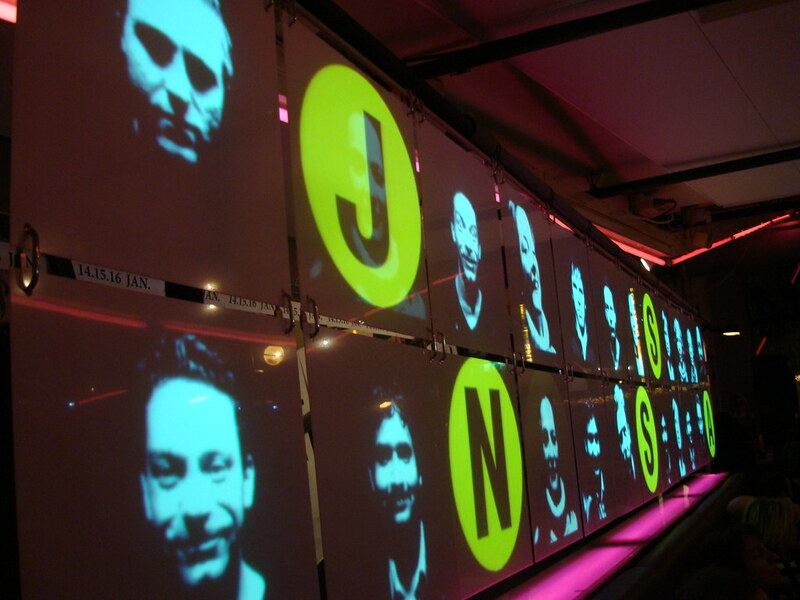 Sjansmachine (‘chance machine’) is an interactive photo-installation that works with realtime images and face detection software. The aim of this installation is to bring people closer together in a playful way. 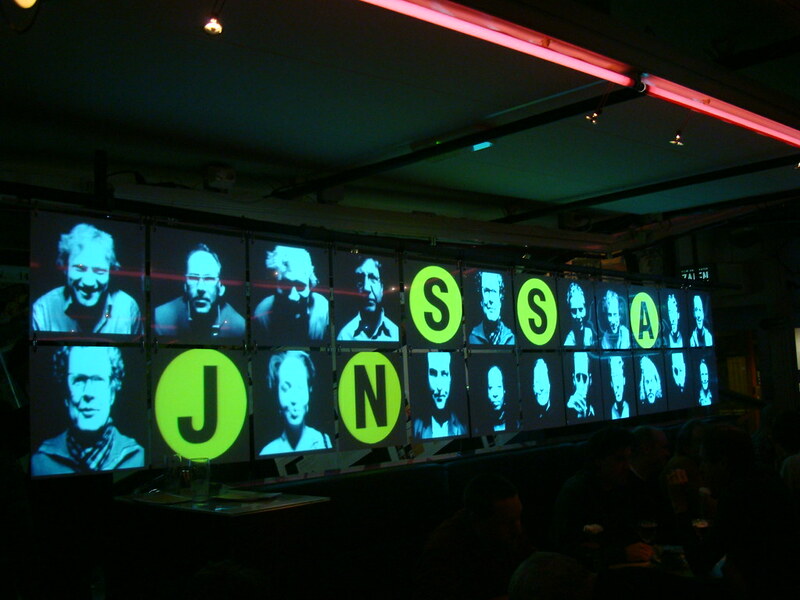 Like many social networking tools on the internet these days, Sjansmachine enables you to connect with other people. It plays with the idea that the virtual world is replacing our social life and therefore wants people to connect in the real world again. Participants intuitively use emerging technologies, such as QR tags, Augmented Reality, and face detection. The custom software (written in Processing, including face detection and motion detection functionality) automatically takes a picture of the face in the booth. The photo is transferrered to the projections (one face per square). The images are constantly animated. During “match” mode sjansmachine displays its match in front of the audience. The couple can obtain their prize together. This project is a collaboration between Olga Mink, Carmin Karasic and Rolf van Gelder. Visit our small but dedicated website.